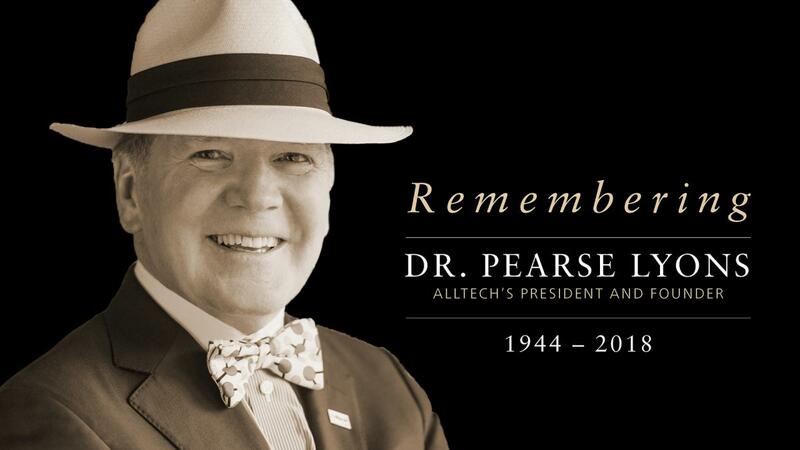 It was with great sadness that we said goodbye to Alltech’s founder and president, Dr. Pearse Lyons earlier this month. Dr. Lyons’ family are deeply appreciative of the many prayers and well wishes they have received from friends around the world. The family of Dr. Lyons and Alltech Ireland will celebrate the life of Dr. Lyons at a memorial mass on Saturday, April 14, 2018 at 1pm in St Peter and Paul’s Church, Dunboyne, Co. Meath.